As part of his greatest achievements in life, Gabriel Osawaru Igbinedion was bestowed on April 5th 1974 with the title of the Esama of Benin Kingdom by the Uku Akpolokpolo, Omo N'Oba N'Edo Akenzua II The Oba of Benin. 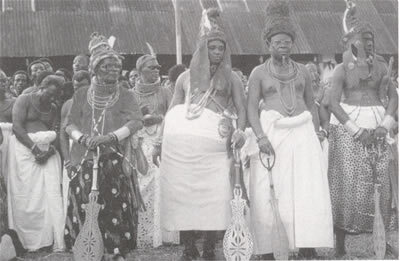 From then on Gabriel Osawaru Igbinedion began to be known as a Chief of the Benin Kingdom, a high ranking Chief being the fifth on the traditional hierarchy of the Chiefs of the Kingdom. 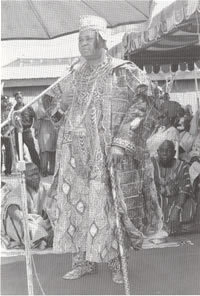 It was from then also it became appropriate to refer to him as a Chief of the Benin Kingdom. 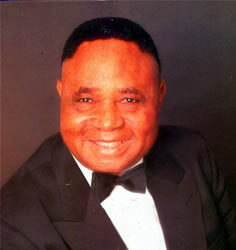 It is to be noted that at the early part of this biography, efforts were made to address Gabriel Osawaru Igbinedion as a Mister. This was done deliberately to create some difference between his non-title years from his days as a Chief. But this has not been an easy exercise because Gabriel Osawaru Igbinedion acquired fame as a successful businessman at quite an early age that the temptation to call him a Chief even when he was not one, was high. Nevertheless, Benin tradition separates being a wealthy man from being a Chief and this biography has attempted to associate with this norm. 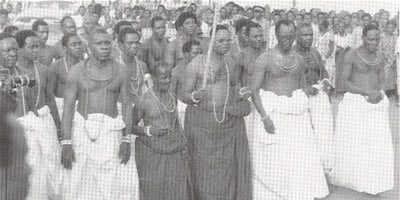 Gabriel Osawaru Igbinedion became the Esama of Benin in 1974 at the age of 40, obviously one of the youngest ever to be bestowed with such a high ranking title in the history of Benin Kingdom. 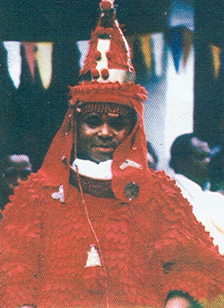 As the Esama of Benin, Chief Igbinedion is one of the most prominent Eghaevbonore Chiefs and as such is in a position to contribute to the traditionalities in the Kingdom. "I decided to perform the Iyanhien, the apex of chieftaincy ceremony in Benin Kingdom for the following reasons; the first, to fulfil my inner desire to boost the chieftaincy institution in Benin Kingdom and practically demonstrate the rich culture associated with the Kingdom. Second, to resuscitate the ancient rites of the Kingdom in the wake of the re-appraisal of our cultural values as demonstrated by the last FESTAC (Festival of Arts and Culture) organised in 1977 to promote worldwide, black culture". Chief Igbinedion's decision to perform the Iyanhien was again influenced by his usual determination to complete successfully any task or endeavour in which he is involved. Moreover, Chief Igbinedion took into account the need to resuscitate the traditional rites of the Kingdom and as such contribute to highlighting some of the lost glories of Benin culture and civilisation. This sounded particularly patriotic in the face of the FESTAC where the Benin Kingdom albeit under the auspices of Nigeria, featured quite prominently. It would be recalled that it was the Benin 16th century Royal Ivory Mask of Queen Idia that was chosen as the symbol of FESTAC. 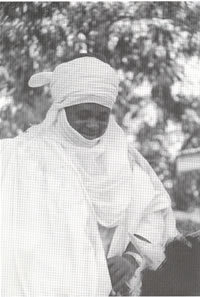 As the Esama of Benin, Chief G.O. Igbinedion as mentioned earlier is an important member of the Benin traditional governing circle, in which capacity he plays an active part in the deliberations in the Kingdom. The Esama observes all traditional rites of the Kingdom and pays the usual homage and regard to the Benin monarch and monarchy. 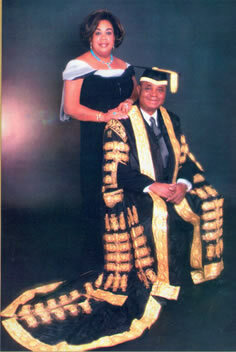 Over the years Chief Igbinedion has secured the respect of a number of his fellow traditional Chiefs who have described him in various terms including the accolade; the "Esama of Africa" and "Esama of the Universe".